© 2019 Mattress Disposal Plus. All Rights Reserved. Known for Frankoma Pottery’s beautiful pieces, an old mattress or used furniture in Sapulpa, would look trashy by the road. If you’re unsure about the removal process or the headaches and hassles associated with it, you can rely on eco-friendly removal and transportation solutions in Sapulpa. Seek help when it comes to Sapulpa mattress disposal and book Mattress Disposal Plus to remove it for you. Rely on Mattress Disposal Plus – a name you can trust for fast, friendly and secure Sapulpa Mattress Disposal. Are you planning a big move in the Sapulpa area? Then perhaps, it’s time to consider getting help removing your old mattresses, box springs and used furniture to make room for the new. 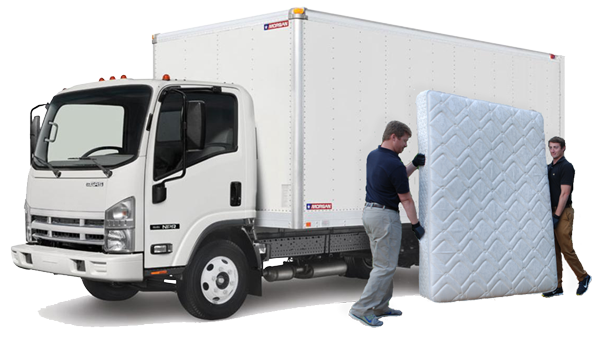 Hire a professional hauler to help with mattress disposal in Sapulpa. There are between 20 and 40 million mattresses disposed of each year with the majority of them winding up in landfills. One recycled mattress, can save 65 pounds of toxic material from the landfills and its material contents can be recycled into creating new earth-friendly products. We offer dependable and green recycling pickup in the Sapulpa area. We service all types of residential and business properties. Our recycling company is the solution to your mattress recycling needs. Call (877) 708-8329 or Book Online to schedule Sapulpa mattress disposal. Mattress Disposal Plus strives to achieve the best possible result for your mattress disposal and recycling. Clients can be assured of the quality services and enjoy the convenience of our easy-to-use online booking system. All you need to do is give us a call or book online today and you’ll be good to go until we arrive for your scheduled appointment. Once we arrive, we will do all the heavy lifting for your scheduled Sapulpa mattress disposal needs. You won’t ever have to worry about how to get rid of your old mattress again. We also offer other hauling services including old furniture. We are proud to offer our clients the satisfaction that comes along with quality and efficient service. We provide easy mattress recycling pickup throughout the Sapulpa neighborhoods and metro area. Schedule your home or business disposal pickup with our easy online scheduling. We can help with all of your Sapulpa mattress disposal needs. No need to turn elsewhere because customer satisfaction is our main aim. We provide old furniture and old mattress removal services to all areas surrounding Sapulpa including Kellyville, Kiefer, Glenpool, Oakhurst and more. Powered by LoadUp Technologies, LLC.